So, our favourite bearded orange one will appear in court next month, charged with behaving in a disorderly manner following reports of unruly behaviour on a train last week. Despite this, it appears that the Ospreys are sticking by their man and have decided that Gavin Henson will not be facing disciplinary action from the club. Eh? How does that work? The police obviously feel there's enough evidence to charge Henson with a criminal offence and yet the Ospreys have already made a decision not to take any action. Surely it would have made more sense to wait until after the magistrates' hearing next month before deciding? Meanwhile, further evidence of the deteriorating off-field behaviour of professional rugby players emerged over the weekend when Wales prop Rhys Thomas and his Newport Gwent Dragons team-mate Rhodri Gomer Davies were reprimanded and cautioned by Italian police after they were involved in a fracas outside a nightclub in Treviso, having been detained for two nights by the police following the incident. To many in Wales these incidents add fuel to the fire of the notion that the drinking culture in Welsh professional rugby is spiralling out of control. I'll admit that I don't know enough about that to comment, but to me it is certainly further evidence that many young professional rugby players don't appear to realise where the boundaries of acceptable behaviour lie and that we're heading down the path well trodden by young professional footballers. It will be informative to witness what disciplinary action is taken by the Dragons over the Italian incident as it is time that a clear message was delivered to the players as to what the consequences are if they fall beneath the threshold of acceptable professional behaviour. 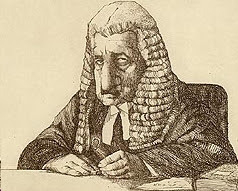 If the players can't sort it out themselves and the clubs choose to bury their collective heads in the sand it will be left to the courts to decide, and all eyes will no doubt be on the magistrates' court in Cardiff on 14th January 2008. 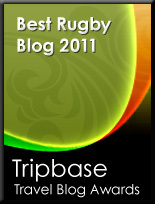 Am so bored with the state of rugby that I have taken solace in reading your blog. I am so pissed off with plastic autumn 'tours' that I am longing for a return to the values of rugby that I grew up with like being a bit crap (well Im a scot)so long as you have a laugh afterwards. Anyway I seem to remember from touring wales when I was young (and crap) that there was a fair bit or drinking and a bit of a go with the non rugby locals afterwards then too. I don't think Tango and cash is so very different from Mark Ring, that rolly polly scrum half (Bishop?) and the entire South Welsh Police squad. Perhaps this is the one piece of genuine rugby heritage that still survives in wales? actually now I think about it didn't the constabulary elements of the scotland and England squads in 1988 have a go at making it the calcutta shield in a similar incident?